Icon library for Total Commander (16x16 RGB/A). Icons have some classical bias. 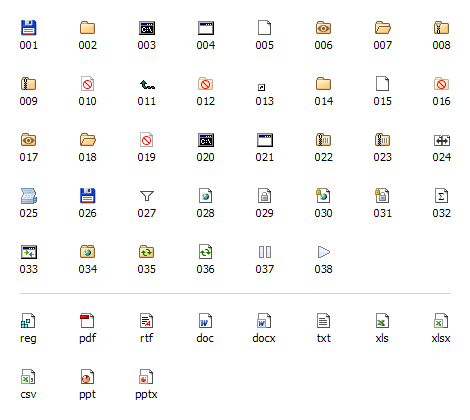 Additional icons for internal associations (*.reg, *.pdf, *.rtf, *.doc, *.docx, *.txt, *.xls, *.xlsx, *.csv, *.ppt, *.pptx, etc.). To use them you have to edit your wincmd.ini (example included).